Nicole Allen grew up in Mt. Eliza, on Melbourne’s beautiful Mornington Peninsula. Her mother was a ceramicist who worked in a studio on the family property, immersing Allen from a young age with a profound appreciation of art. Allen pursued her love of art, studying Visual Arts over a 4-year part-time course at Chisholm Institute in Frankston, majoring in Sculpture. Following her studies, Allen travelled across Africa for 18 months. Whilst in Zimbabwe, the artist developed a deep appreciation of the beautiful stone carvings and was inspired by the cultural renditions of primitive art and abstraction of form. Allen draws her inspiration from many artistic sculptors, amongst which she credits Antony Gormley, Henry Moore, Alberto Giacometti and Barbara Hepworth. Allen now works primarily in steel. She begins the artistic process of each work by creating a 3D armature in steel rod, and then panels over the armature in small pieces of flat steel, before grinding the sculpture back to eradicate the weld marks and imperfections. Most of her sculptures are then sand cast from the steel sculpture into aluminium. “Ever since the first human scratched out in sand, the outline of another human, artists have been striving to portray their own interpretation of the human form. Very few have achieved perfection. And nor should they. It is ‘the’ on-going struggle, of all figurative artists,” says Allen. Like so many figurative artists before her, Allen is constantly striving to explore the divergent and unexpected representations of the human form. Her works are never purposely confined to just one medium, or one representation. Whether using stainless or Cor 10 steel, cast aluminium, stone or a combination of all, and whether exploring the use of negative or positive space, her body of work is representative of Allen’s continuing figurative journey. 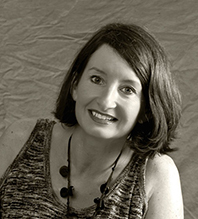 Nicole Allen has exhibited extensively throughout metropolitan and regional Australia and Hong Kong. Allen’s Solo Exhibitions include: 1997, Artists Garden, Fitzroy; 2009, Art Sydney, Sydney. Nicole Allen’s Group Exhibitions include: 1995, "Mixed Masters of Conscience Error", Chisholm Institute of TAFE; 1997, McClelland Gallery Grand Opening; 2003, Bark Modern Art, Hong Kong. In 2001, Nicole Allen was commissioned for artworks at the Peninsula Animal Hospital and in 2005, the artist was included in ‘Selected Contemporary Artists of Australia’ by Michael Berry.